Aims: In this study, the effectiveness of chitosan as a coagulant aid in the removal of turbidity from surface water was investigated. Materials and Methods: A conventional jar test apparatus was used to evaluate the coagulation process. 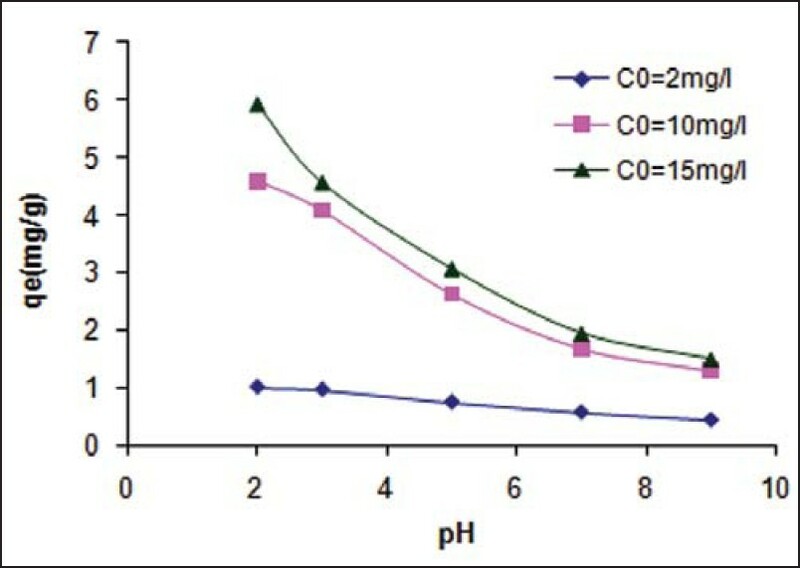 Coagulation of turbidity in river water using chitosan as coagulant aid and ferric chloride as coagulant was studied in the pH range 4-9 and initial turbidity concentrations in the range of 20-200 mg/l. 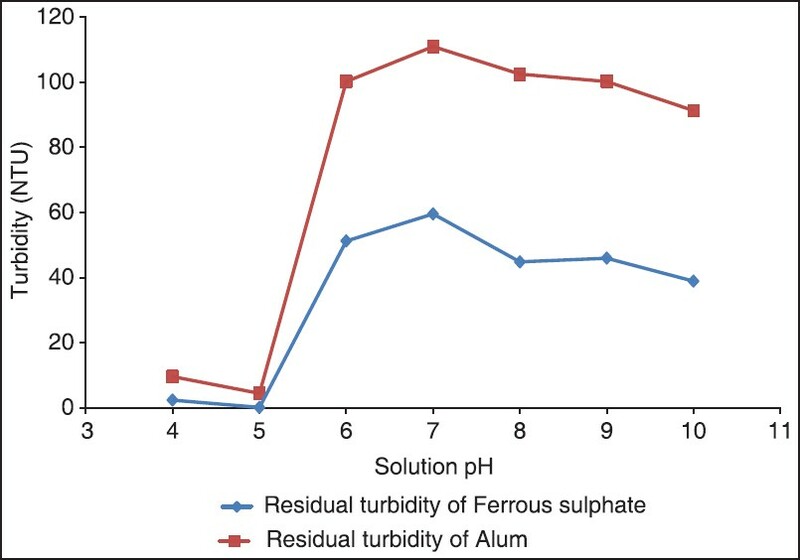 Results: The findings showed that the optimum pH for FeCl 3 as a coagulant on turbidity removal was seven. 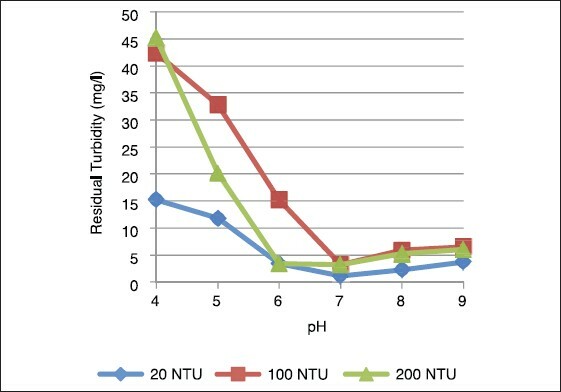 About 95% removal of turbidity is achieved at this pH, without filtration and the residual turbidity drops below 5 NTU. The optimum dosage of FeCl 3 was achieved 10 mg/l. The optimal chitosan concentration required to effect coagulation is 0.5 mg/l. Restabilization of the turbidity is observed at higher concentrations of chitosan. 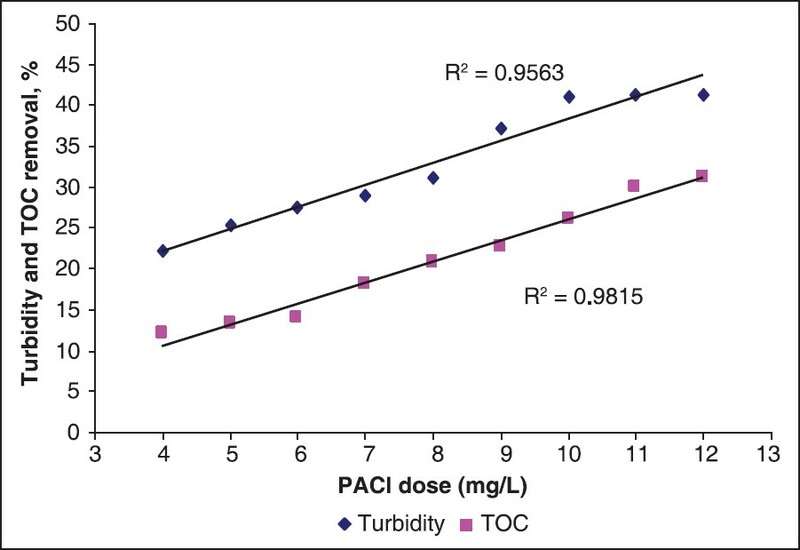 When chitosan (0.5 mg/l) used as a coagulant aid, efficiency removal turbidity was increased and optimal dosage of FeCl 3 turbidity removal was reduced to 50% of initial dosage of FeCl 3 . Conclusion: Chitosan as natural coagulant aid improved turbidity removal efficiency by coagulation process. 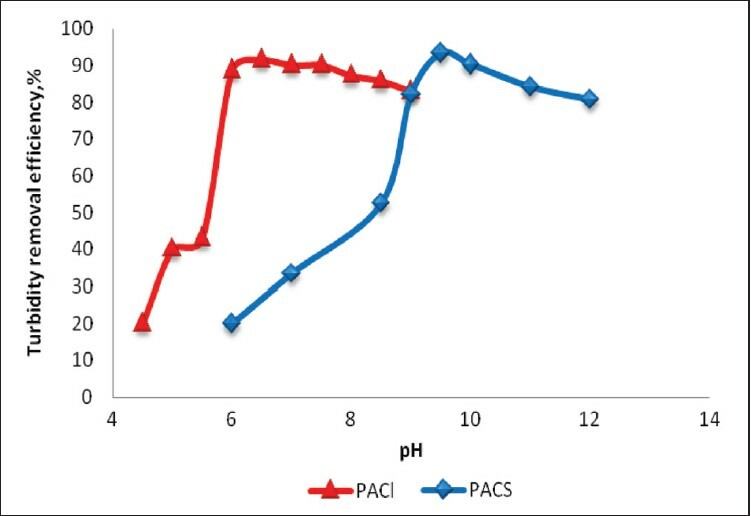 And FeCl 3 concentration as coagulant was reduced then residual iron decreased in treated water. Also by using natural coagulant considerable savings in chemicals and sludge handling cost may be achieved. Aims: In the present study, activated carbon obtained from pistachio hull waste ash was used as an adsorbent for the successful removal of reactive red 198 dye from aqueous solutions. Materials and Methods: The effect of various operating parameters such as initial concentration of dye (20-200 mg/L), contact time (5-270 min), adsorbent dosage (0.1-5 g/L) and pH (2-12) was investigated. Furthermore, equilibrium isotherms were used to identify the possible mechanism of the adsorption process. 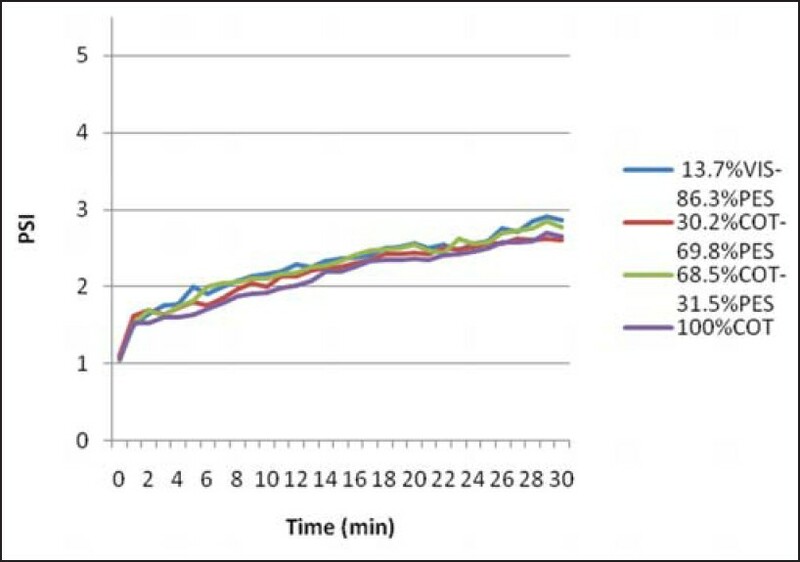 Results: Maximum adsorption capacity of the adsorbent was 253.67 mg/g at pH 2, initial concentration of 80 mg/L and 25°C, when 95.13% of the dye was removed. Furthermore, the equilibrium data were also fitted to the Langmuir and Freundlich equilibrium isotherm models. It was found that the data fitted to Freundlich (R2 = 0.9289) better than Langmuir (R2 = 0.8839) model. Conclusion: It was concluded that the activated carbon obtained from pistachio hull waste ash can be used for dyes removal from water and wastewater. 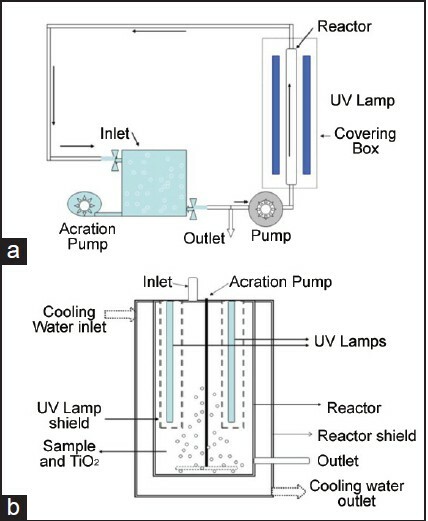 Aims: This study focused on the determination of various physico-chemical characteristics of groundwater and to perform a statistical analysis to determine the relationship between the measured parameters. 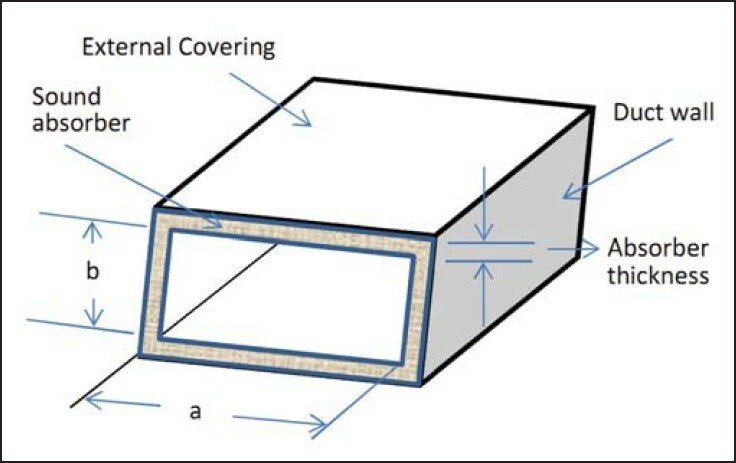 Materials and Methods: The study was carried out during April-May 2011, in Vellore city, India. The various physico-chemical characteristics such as pH, turbidity, chlorides, acidity, alkalinity, sulphates, dissolved oxygen, and hardness were determined by following the procedure prescribed by American Public Health Association standard methods. 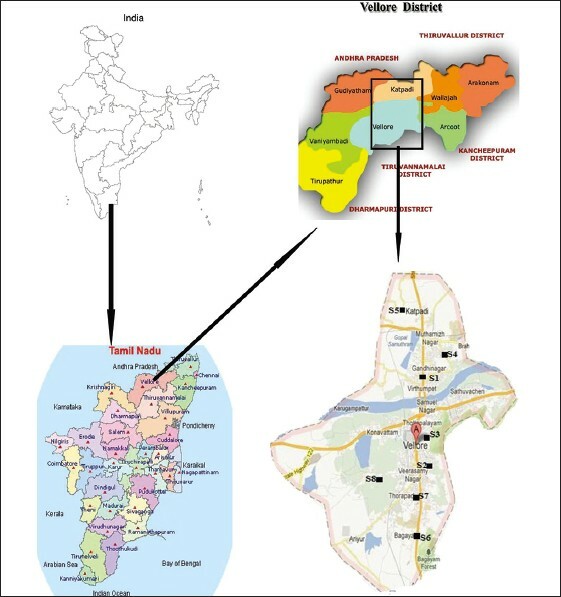 This study was carried out to ensure the quality of groundwater to make use of it for domestic purpose by comparing the analytical results with the Bureau of Indian Standards (BIS) and World Health Organization (WHO) drinking water quality standards. A statistical study such as correlation analysis and one-way analysis of variance (ANOVA) has been carried out using Statistical Package for the Social Science (SPSS) ver. 20 software. The correlation analysis was performed for measured parameters to determine the relationship between the variables. The One-way ANOVA was applied to estimate the uncertainty in measured values. Results: All the measured parameters are within the permissible limit as per WHO and BIS. The statistical analysis for all the parameters has revealed a positive correlation and the F test values are significant at 95% level. Conclusion: From the investigation results, it can be concluded that the water quality of the study area is fit for domestic purposes. 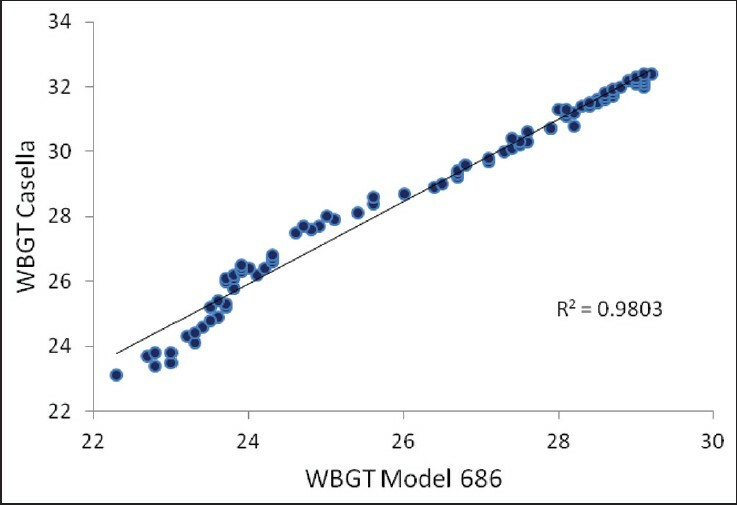 The descriptive statistics of the parameters analyzed along with correlation matrix and one-way analysis proved that there is no variation among the measured parameters. Aims: The aim of this study was to determine and evaluate the potential methods for restoration of waste processing and recycling units in the Khazra Industrial region in Kerman, Iran. 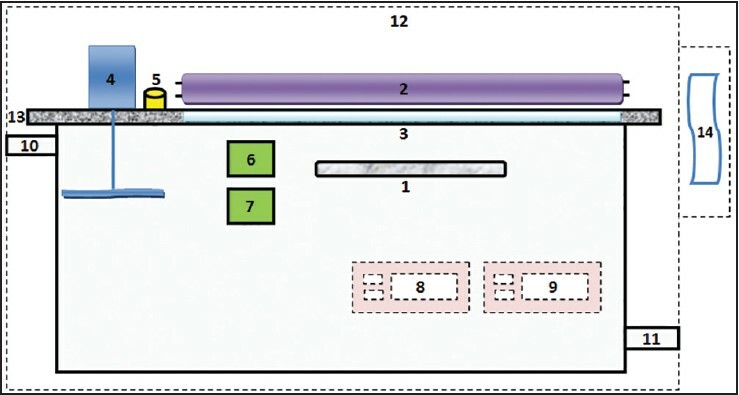 Materials and Methods: The present research was a field study performed by organizing a questionnaire and implementing local surveys during 1 year. At first, detailed information of the status of the industrial waste production including its amount, composition, percent of components and percent of waste generated by each industrial zone was identified. 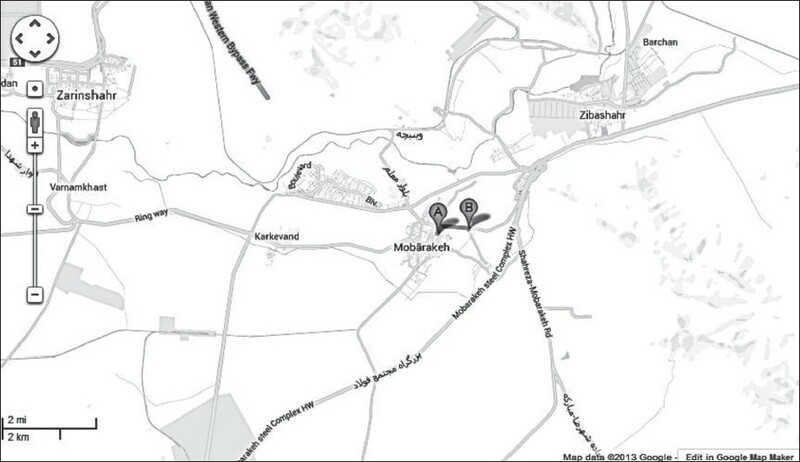 Then the industrial sites present in each zone were classified in different groups. Furthermore, the various wastes produced in these industries were analyzed according to type, nature, recyclability, place of production, production frequency and quantity of waste. Results: In the Khazra Industrial Park 97 industrial units are operating, with the approximate production capacity of 729670.5 tons different products a year, which make 26141 tons waste annually. 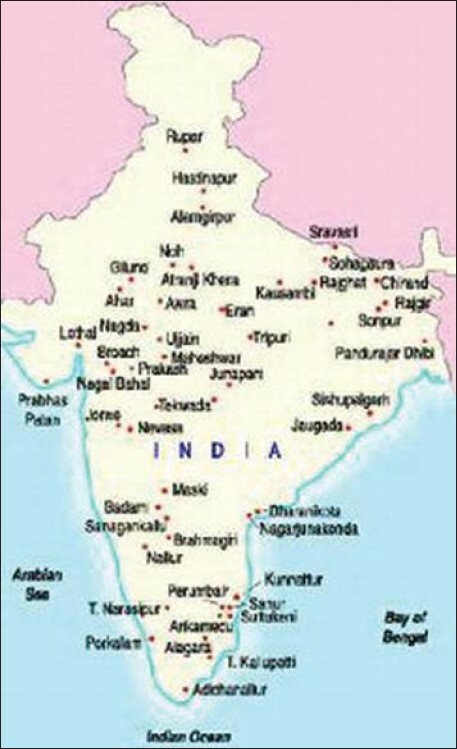 Totally 41 types of waste are produced in Khazra Industrial Park, of which 9 types can be recycled. Conclusion: Overall, our findings suggest that the total amount and the variety of waste generated, and the availability of waste-recycling units in the park hinder the establishment of any recycling and processing units in the Khazra Industrial Park as they are not economically efficient. Therefore if the park development plans get going and by using economic initiatives, the foundation of processing and recycling units in this industrial park is recommended and will have economic and environmental benefits. 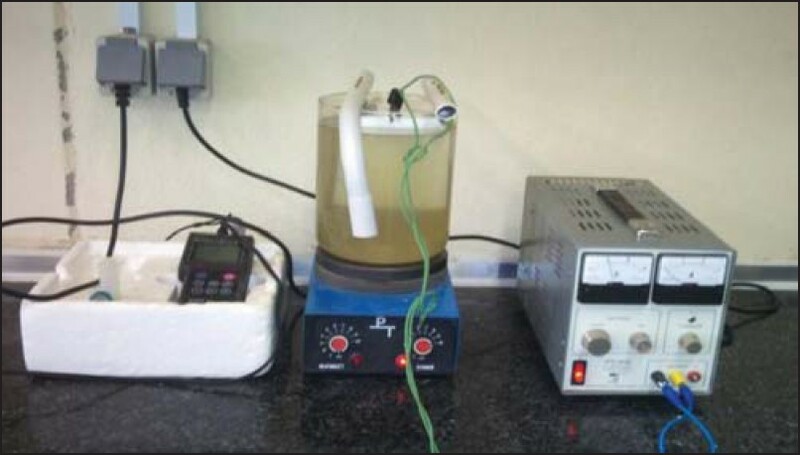 Aims: The objective of the present study was to evaluate the performance of an aerobic fixed-bed bioreactor (FBR) enriched with microorganisms of sewage sludge in biodegradation of formaldehyde in air stream with various retention times and airflow rates in laboratory scale. 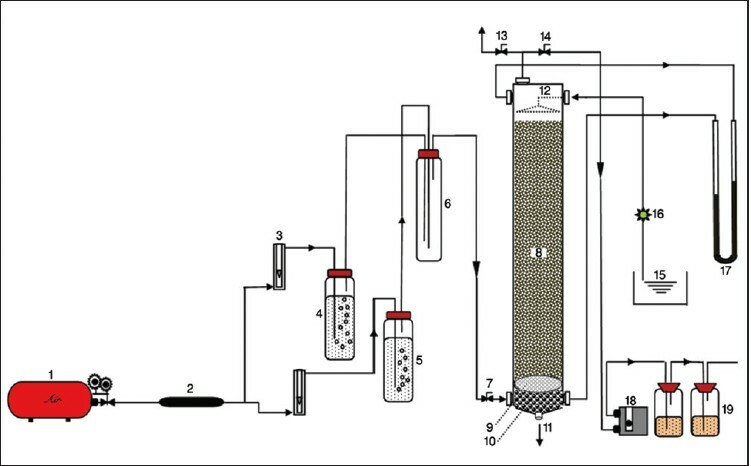 Materials and Methods: An aerobic biofilter 60 cm in height and 14 cm internal diameter made of steel was constructed and packed with a mixture of pumice and compost as a medium and utilized in this study. The microorganism's growth, which is derived from the sludge of a municipal wastewater treatment plant, was initiated by adding nutrient. During the first few days of run, the airflow containing different concentrations of formaldehyde (from 24 ± 3 to 224 ± 5 mg/m 3 ) was introduced to the reactor to ensure biological adaptation. 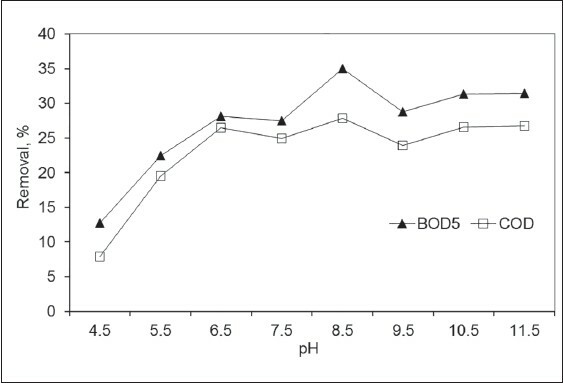 Sampling was performed through a series of two impingers containing adsorbent, and analyzed by chromotropic acid assay using DR-5000. Results: The maximum removal and elimination capacity of formaldehyde was yielded at 0.48 ± 0.06 g/m 3 /h inlet loading rate and 180 s of empty bed retention time (EBRT). These values for stabilized days were almost 88% and 0.42 g/m 3 /h, respectively. 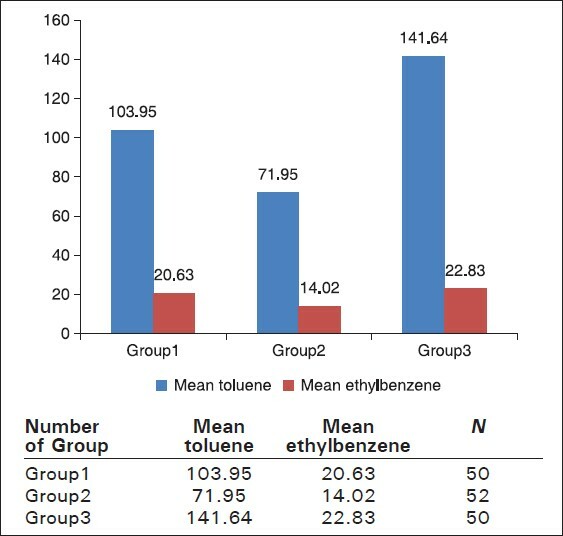 Conclusion: The results showed that by increasing the inlet concentration of formaldehyde and reducing the EBRT, the formaldehyde removal capacity of the system decreases. Aerobic bioreactor with appropriate bed volume and compatible with inlet pollutant mass flow rate in optimum retention time will admissibly degrade and reduce the formaldehyde concentration from contaminated gas phase, such as gases produced in municipal wastewater treatment facilities. Aims: The aim of present study was macro-ergonomic risk assessment with a relative stress index (RSI) in textile industry. 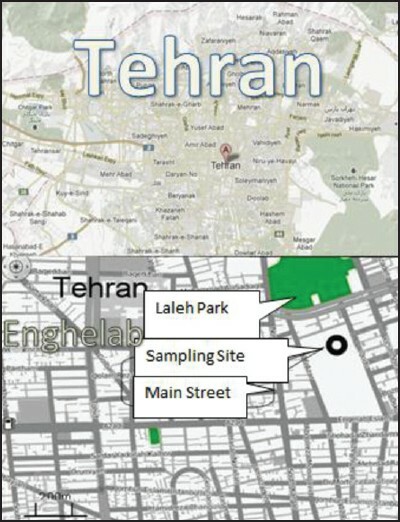 Materials and Methods: This study was conducted based on the Census method among 154 workers in textile industry in Isfahan (IRI) that work on three shifts. 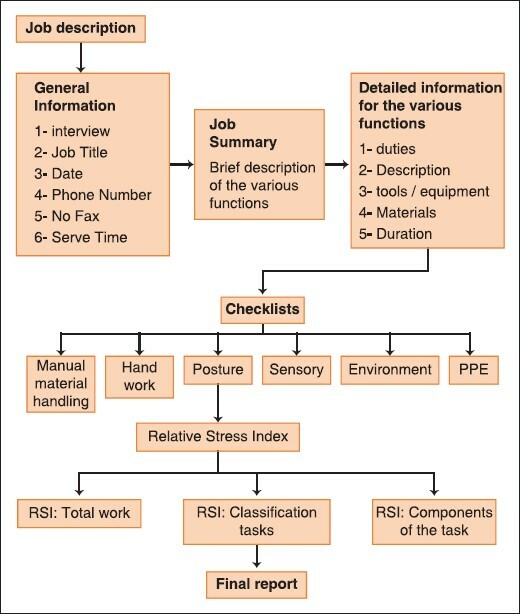 Risk assessment based on RSI is divided into three main sections: job description, check list, and RSI. For computation of this method, different equations have been defended that by their computation was being performed. The final values for the RSI area scale between zero and 10 where zero implies on dangerous, insecure, not efficient and number 10 indicated safe, secure, and being efficient. 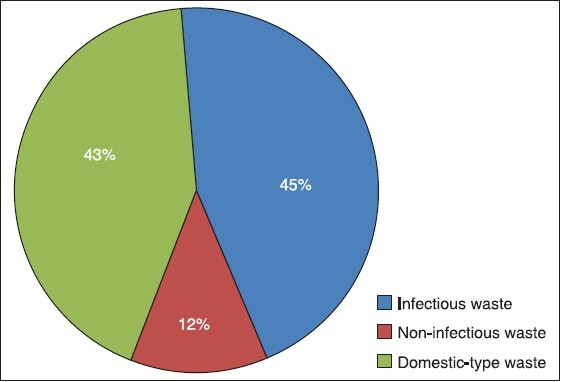 Results: ANOVA test showed that, hand work and sensory in different shifts among textile industry had significant relationships with occupational hazard (P < 0.05). Also, posture with a mean 6.19 ± 0.11 and manual material handling with a mean 9.14 ± 0.41 had the lowest and highest score, respectively. 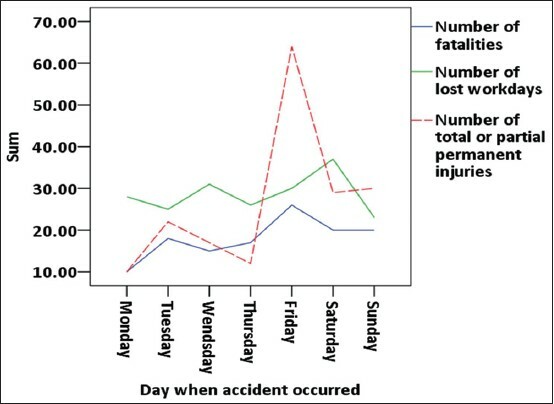 Conclusion: Based on the findings from the study, the posture at work and hand work were the most influential factor to the incidence of occupational hazards among workers with in the textile industry. So keeping a good posture and reducing the level of hand work activity during each shift can have a significant impact in reducing occupational hazards. 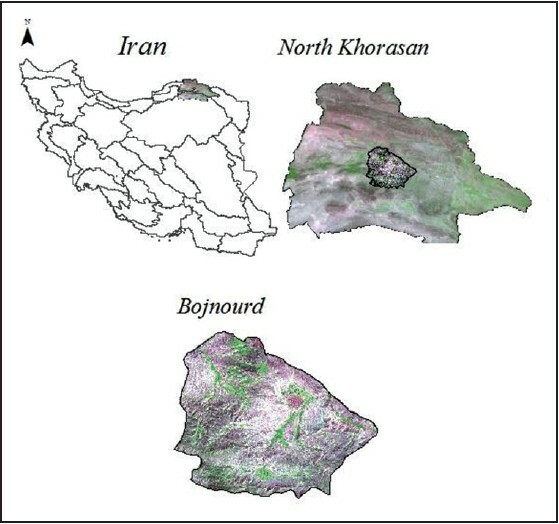 Aims: This research was conducted to evaluate the Arsenic (As), Lead (Pb), and Cadmium (Cd) concentrations in fish flesh samples of Bara'an (east of Isfahan) as a contaminated zone. 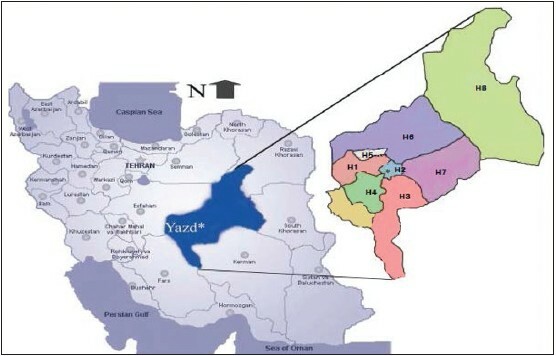 In addition, the obtained result was compared with a control fish group from behind dam area (west of Isfahan). 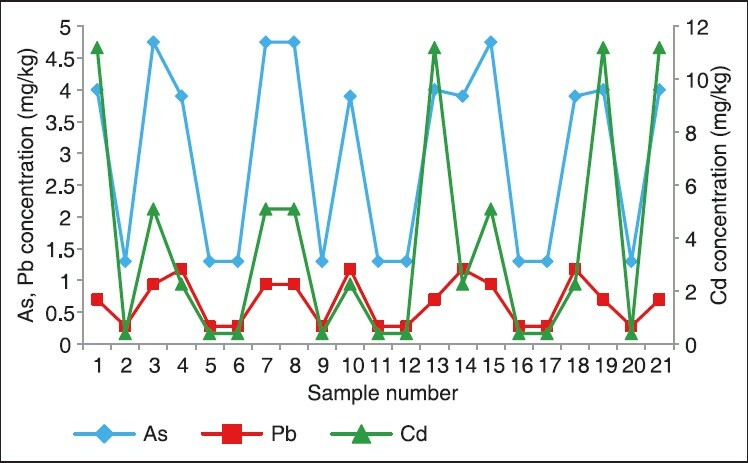 Material and Methods: In this cross sectional study, 21 fish samples were collected from both the areas and heavy metals concentration was measured by flame Atomic absorption spectrometric method (PERKIN Elmer model 2380). Results: The mean amount of As were 2.97 ± 1.51 and 2.87 ± 0.3 mg/kg in the behind dam and the Bara'an areas, respectively. The mean amount of Pb were 0.66 ± 0.37 and 0.32 ± 0.17 mg/kg in the behind dam and the Bara'an areas, respectively. 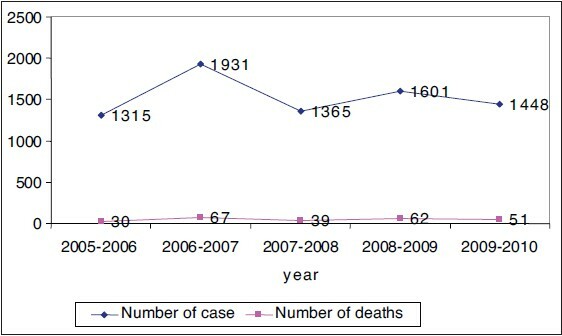 The mean concentration of Cd were 3.7 ± 4.11 and 86.64 ± 32.4 mg/kg in the behind dam and the Bara'an areas, respectively. 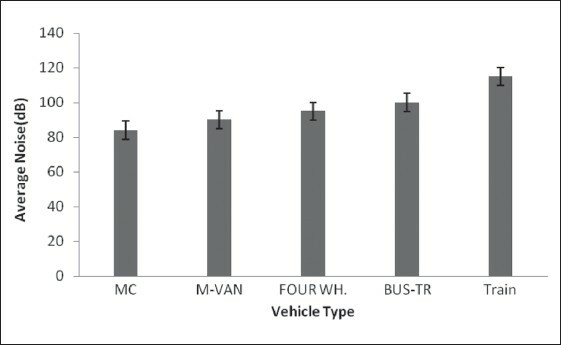 The t-test showed no significant differences between the mean concentrations of As in both groups (2.97 Vs 2.87) (P = 0.78). The mean concentrations of Pb in the Bara'an area was significantly less than the behind dam area (0.32 Vs 0.66) (P < 0.001). Instead the mean concentration of Cd in the Bara'an area was significantly more than behind dam area (86.64 Vs 3.7) (P < 0.001). Conclusion: This study confirmed that the fish samples from Zayanderoud at Bara'an and behind dam was contaminated by As, Pb, and Cd. Therefore, we suggest that the heavy metal levels should be monitored regularly.